Landscape design trends come and go, but quality design components that are sustainable and low maintenance never go out of style. Knowing the timeless elements of design is important to the foundation of any landscape project but using ideas from outside-the-box will always increase your design’s special and unique qualities. Aesthetically pleasing landscape design typically aligns with the style of a home’s exterior but there are ways to add nuances to create a sense of intrigue or elicit specific feelings, like relaxation. 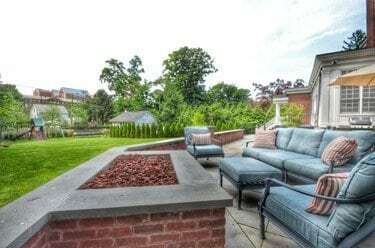 Luckily, landscape design trends currently include elements of enduring classics such as functionality, gardens, and features that lean towards the recent boom of bringing interior amenities to the outdoors. Outdoor furniture fabrics have come a long way in the past few years. Many brands that use acrylic fabrics are waterproof and fade resistant. Outdoor furniture has become a staple in most homes, but this year’s trends are about comfort and more time relaxing outside. 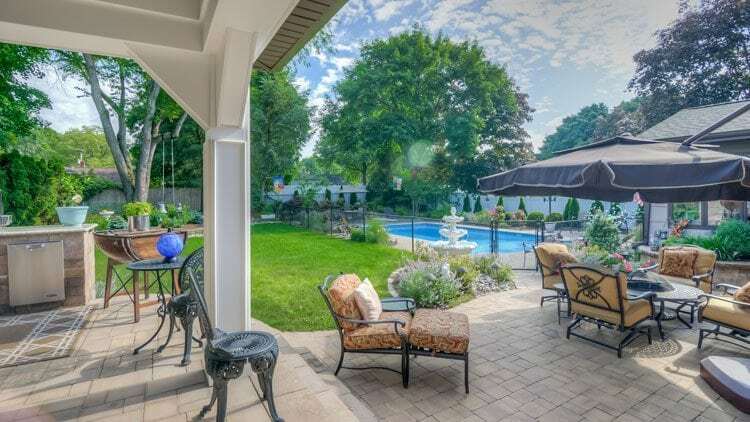 Customized built-in televisions and surround sound systems that include the entire yard will be installed in many outdoor living areas this year to add to family fun and entertainment. Another hot-ticket item will be projectors for backyard movie nights on a big screen! Deep seating with soft cushions around a fire is definitely one of this year’s hottest trends. Create an outdoor hearth this summer and you will be able to cook on an open flame, keep bugs at bay, and use your space for more of the year. 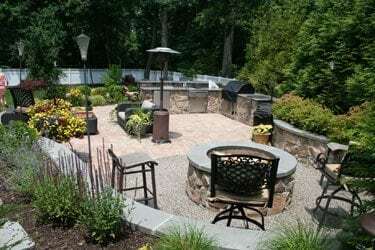 Creating outdoor living spaces is the hottest of the landscape design trends. Even showering or taking a bath outside have become trendy. Aside from outdoor showers offering a “naturalistic luxury”, they are a great way to rinse off after gardening, swimming in the pool, or after lying in the sun. Homeowners want better quality and less “bling”. Low maintenance designs are key as is convenience and control. Programs and applications that govern lighting, pools/spas and security are being installed to afford control and protection while homeowners are away. Homeowner’s can check security cameras, turn on lights, saunas, or spas with just a click. Extend your Wi-Fi and allow your family and guests to be part of the fun in your outdoor living space even if they have to “stay connected”. Keeping in-line with the idea of low maintenance, dark colors on woods and fences are expected since they can add a stark contrast to colorful plants and greenery. They also display a less-weathered look over time. Naturescaping entails selecting and growing native plants to attract indigenous birds, insects, and wildlife. With more people heading outdoors, naturescaping allows homeowners to develop their own environmentally conscious landscape. Every year the word “fresh” gains more importance so edible gardens are taking off. Nothing is fresher than picking your own fruits and vegetables from right outside your door. A small investment of work will soon grow into a plentiful source of wholesome food for family and friends. If you haven’t had a garden before or if you are short on time, use containers to start your own edible garden. Become a pro at growing your own food on a smaller scale before taking it up a notch. 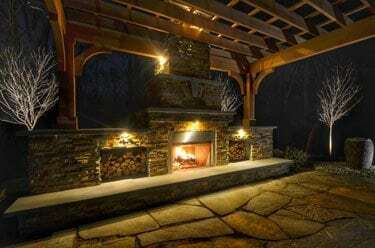 Utilize low-voltage lighting in your landscape design to save energy, have longer lamp lives, and variety in your customized landscape lighting design. 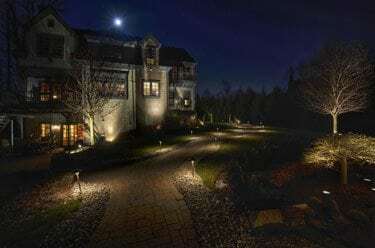 Low-voltage lights are available in plethora of bulb options to add drama and make your walkways twinkle. Permeable pavers can reduce erosion on your property and are being used in designs across the United States. Although, originally created for commercial purposes, permeable pavers have found their way into residential landscapes because they are easy to maintain, aesthetically pleasing, and great for the environment. ·Water features that manage storm water in a unique and natural way will begin to pop up more and more in landscape design. Retaining walls are a great option but this year we will see more people creating ponds in areas that seem to flood and become unmanageable. Ponds and other water features will stop the nightmare of a flooded property and bring more of your yard’s natural ecosystem to life. Green walls have been showing up a lot in urban landscape design over the past few years, but this year we will see more residential green walls and vertical gardens as one of the big landscape design trends. Adding a green wall can add depth in a simple, yet very dynamic way. Many homeowners are seeking a bit more privacy from their neighbors but don’t have the space or inclination to plant a green screen of trees and shrubs. 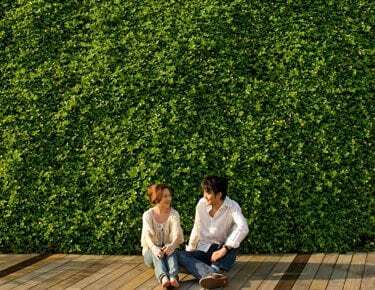 If you are looking for a truly “stand-apart” way of delineating the lines of your outdoor space, a green wall is the perfect solution. If your front porch and/or yard are on the smaller side then go vertical with a green wall design for a stunning look and a curb appeal showstopper. Blend design inspiration from what’s trending now with some of your favorite classic landscape designs and consider the ways that you might want to improve your outdoor living space this season for the beautiful weather ahead.